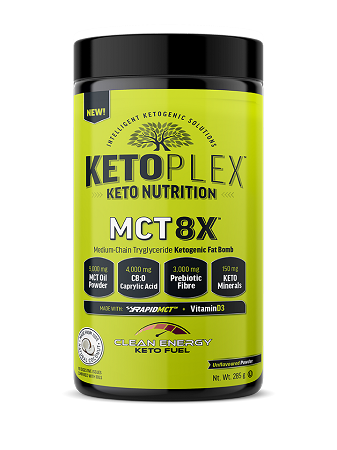 KetoPlex™ MCT 8X provides rapidMCT™, a low molecular weight super fat metabolized up to 8X faster into "KETONES" — The Instant Body & Mind Clean Energy Fuel! Unlike carbs that promote fat storage, ketones provide clean energy that cannot be stored as fat. When ketone levels in the body rise, the body transitions into a state known as "KETOSIS" — The body's Fat-Burning State! Q: I purchased Ketoplex at recent trade show to use as substitute for bullet proof Brain Octane which is mainly caprylic acid in the making of coffee. I am trying to understand the quantity I should use in my keto coffee. What is the equivalency of Brain Octane to ketoplex?